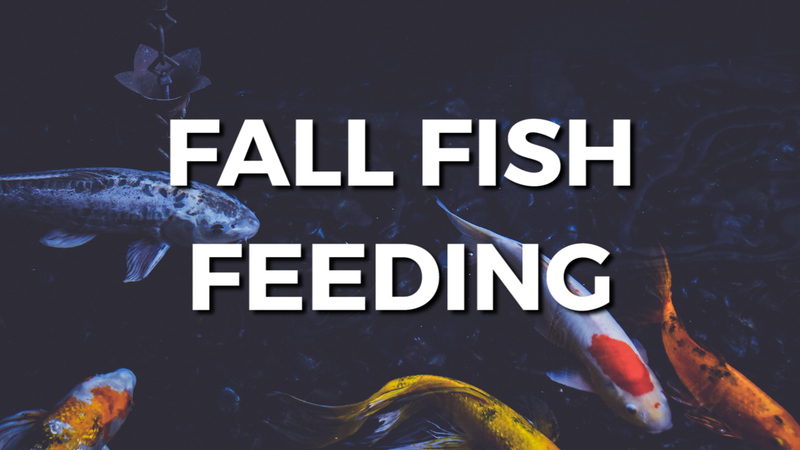 Fall Fish Feeding These foods are high carbohydrate percentage foods, lesser amounts of protein and are more easily digested in the colder weather. When the weather starts to change in the fall and the water temperatures begin to drop, it’s time to change your fishes diet. Generally, up to this point your feeding them a high protein percentage food. But, when your pond temperature reaches around 55 degrees you’ll want to switch over to a cold weather food or wheatgerm food. These foods are high carbohydrate percentage foods, haveing less amounts of protein and are more easily digested in the colder weather. Helping build the necessary fat reserves, the fish will live on during the winter months that you’re not feeding them. Here at Webb’s, we carry a wide variety of cold weather fish food floating and sinking. We offer Hikari, Microbe-Lift, Aquascape, Tetra and many, many, more. If you need help choosing the best food for your fish please don’t hesitate to call. I’m Joe from webbsonline.